NFZ.forestnet - Retrace the NFZ.forestnet summerschools in videos ! Home Page Zoom sur Retrace the NFZ.forestnet summerschools in videos ! In 2016, NFZ.forestnet is celebrating its 10th anniversary ! The summer school programme was the first multifaceted project to be developed within NFZ.forestnet. NFZ summer schools take place every year, and are organized by one of the three partner countries. Discover these highlights through videos ! What prompts Master and PhD students to leave their comfort zone and spend a week of intensive study in August? Leonie Schönbeck (WSL), Marco Mina (ETHZ/WSL) and Delphine Clara Zemp (Humbolt University of Berlin) explain their motives. Since 2006, the European research and education network NFZ.forestnet has hosted ten summer schools covering a broad range of forest-related topics. 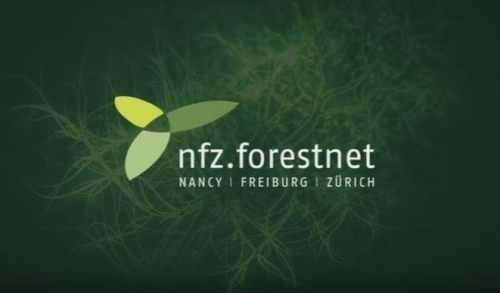 NFZ.forestnet is a European research and higher education network which gathers French, German and Swiss institutions working on forestry, forest ecosystem and forest-related products. It was founded in 2006 with the aim of creating and developing collaborative research and education projects. Not only students are fans of NFZ summer schools. Lecturers too enjoy participating - once, or twice, or more. Cyrille Rathgeber (Inra Nancy) and Arthur Gessler (WSL) explain why. At NFZ Summer schools, most lecturers are scientists from the research and higher education institutions of the trinational network. Wasting precious seven days? No way! NFZ summer schools are packed with opportunities to learn, discuss, network, or even publish. Marco Mina (WSL/ETHZ), Rasoul Yousefpour (University of Freiburg), Simon Boden (Ministry of Land Use, Stuttgart) and Carina Sucker (FVA) share their impressions. Being a lecturer at an NFZ summer school implies much more than giving a 4-hour presentation. It means taking one's time for discussions with students, for a poster session, a hike in the forest, or a glass of beer with colleagues. It is worth it? For Arthur Gessler (WSL), Damien Bonal (Inra Nancy) and Franka Brüchert (FVA), there is no doubt about it. NFZ Summer schools: Which unexpected benefit did you gain? NFZ Summer schools are not only packed with academic knowledge and encounters with new friends, they also hold unexpected bonuses. Watch Marco Mina (WSL/ETHZ), Rasoul Yousefpour (University of Freiburg), Simon Boden (Ministry of Land Use, Stuttgart) and Alma Piermattei (Marche Polytechnic University, Ancona) tell us what was a surprise to them. Marco Mina (ETH/WSL), Simon Boden (Ministry of Land Use, Stuttgart) and Carina Sucker (FVA) are three of the many students who have participated in NFZ summer schools since 2006. Damien Bonal (Inra Nancy) and Franka Brückert (FVA, Freiburg) evoke inspiring moments during NFZ summer schools they were involved in as organizer or as lecturer. NFZ Summer schools: What did it change for you? Attending an NFZ summer school can be a life-changing experience for students. Simon Boden (Ministry of Land Use, Stuttgart) and Rasoul Yousefpour (University of Freiburg) tell us what it meant for them.